It seems Apple has implemented a new service policy that will allow free repairs for the 42mm Series 2 Apple Watch model if it does not power on, or if the battery is swollen. 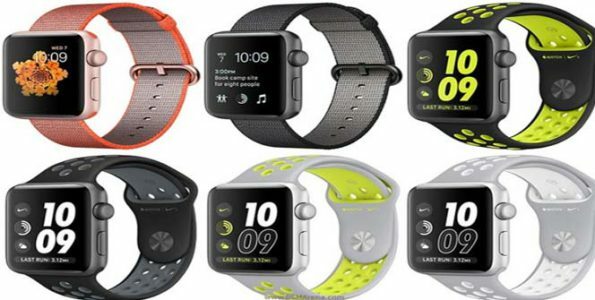 The free repair service policy is for select models for the 42mm Apple Watch Series 2, which includes Sport Edition, Hermes, and Nike+ and have the problem of either not powering on or a swollen battery. The problem seems to be once the battery starts to swell, it prevents the Apple Watch from powering on, or worst yet, it causes the display to burst open. The new service policy will allow for free repair service even if the watch is out of warranty. It also seems this new service policy will cover repairs for up to three years after purchase. Reports state that this new repair policy is in effect in the following places: United States, Canada, Mexico, and Europe. It should be noted that the new service repair policy is only for the 42mm Apple Watch Series 2 models, and not for the 38mm Apple Watch Series 1 or Series 3 models. Customers with this issue can visit the Contact Apple Support page and select Apple Watch – Battery, Power, and Charging, they can also schedule an appointment to bring it in for repair with the Genius Bar at an Apple Store, or with an Apple Authorized Service Provider.